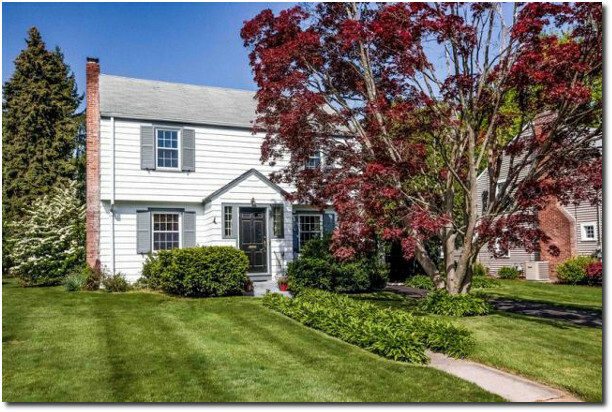 This move-in condition Colonial is in a great West Hartford Center location, a quick walk from all of the shops and restaurants in the Center and Blue Back Square. The formal living room is a nice size and has a wood burning fireplace. The dining room features a classic built-in cabinet and connects to the remodeled kitchen with eat-in space. There is a half bathroom on the first floor and the basement is partially finished. Upstairs you’ll find a large master bedroom with walk-up attic access, two additional bedrooms and a neat and clean full bathroom. Outside there is a large deck and the yard offers plenty of space for play, relaxing or gardening. Park your car in the 1-car garage. 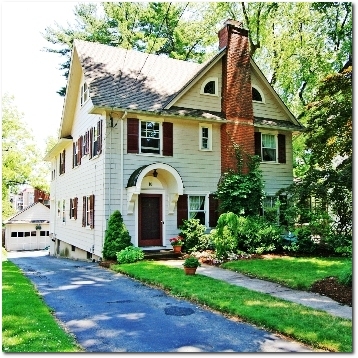 The home features new windows, driveway and exterior paint. 19 Greenhurst Road is offered at $289,900. If you’d like to see this home, please have your agent arrange a showing, stop by our open house Sunday 5/19 from 1:00pm-3:00pm or call me at 860-655-2125 to schedule a visit. More details and a photo tour are available. This charming English-style Colonial has a great West Hartford Center location and is in the Duffy/Sedgwick/Conard school district. The home offers a flexible floor plan with formal entertaining spaces, as well as casual family room areas for today’s living style. The double door entry vestibule opens to the formal living room which has a wood burning fireplace and French doors leading to a side porch. A formal dining room with a built-in hutch connects to the kitchen and first floor family room. The remodeled kitchen features eat-in space, granite counters, access to a wraparound deck, as well as the original butler’s pantry. The oversized family room with a wood burning fireplace is great space to relax. A powder room completes the first floor. Upstairs the second floor has four bedrooms and three full bathrooms. Two of the bedrooms have en-suite bathrooms. The third floor is a nicely finished room with plenty of storage space and could be used as an additional bedroom, office or media room. Outside, the grounds are well landscaped. The open porch and a wraparound deck are perfect for outdoor entertaining. The home has a newer roof, windows, driveway, updated electrical and an attached 2-car garage. 63 Van Buren Avenue is listed at $539,900. If you’d like to see this home, please have your agent arrange a showing or call me at 860-655-2125 to schedule a visit. More details and a photo tour are available. This Sunday’s Hartford Courant had an interesting piece by Tom Condon titled “Subdivisions On Way Out?” It is definitely worth a read if you were focused on other things yesterday, like spending time with your mother or enjoying the beautiful weather. The basic thesis is that a confluence of trends will lead to more large houses for sale in the suburbs than buyers who will be interested in purchasing them. Supply will come from the Baby Boomer generation downsizing to smaller, lower-maintenance housing options. However, demand for their properties may not materialize. Household size is increasing as multiple generations of a family are more frequently living together. Financially marginal buyers struggle to get a mortgage in the current environment, preventing them from being homeowners. Factors like smaller home sizes, walkable neighborhoods, mixed-use environments, and shorter commutes are creeping up to the top of buyer wish lists. Many interesting questions could be asked using this thesis as the set-up. 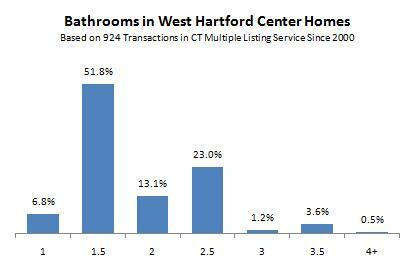 The first one that jumps to my mind is this, which areas of Greater Hartford will benefit most from these trends? Some of the winners are obvious. 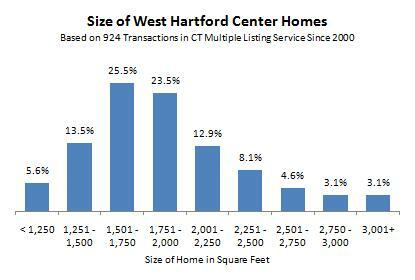 West Hartford Center offers exactly the mix of features that Mr. Condon describes. It is an established mixed-use community with smaller homes, in a walkable setting, that is convenient to just about everything in the region. Slam dunk. The Center is currently one of the hottest real estate markets in the area with basically no inventory available. If you want to buy there, then you need to have your act together. Other areas seem like logical winners, but there is still considerable work to be done. I see Downtown Hartford as a long-term winner. Right now there is a core group of residents excited about Downtown as a neighborhood. Seven recent apartment developments (The Hollander, The Metropolitan, The Lofts at Temple & Main, 915 Main, Bushnell on the Park, 55 on the Park, and Hartford 21) are generally considered successes. Active planning is underway to rehab another building, the former hotel on Constitution Plaza. There are many additional opportunities to add residents in smaller, apartment-style, homes that are in a mixed-use community with major established businesses and legitimate public transit. Really, the whole Farmington Avenue corridor from Downtown Hartford through West Hartford Center seems like it has a chance to win big in the coming decades. Asylum Hill and the West End have a lot to offer on the Hartford side of the line. Residential density continues on the West Hartford side of Prospect Avenue with numerous apartment buildings and commercial areas transitioning to single-family housing just off the main road. In the real estate market, we are already seeing buyers from the Farmington Valley come over the mountain to look at our listings in the Elizabeth Park neighborhood of West Hartford and in Hartford’s West End. If Mr. Condon is right, then this could be the beginning of a trend that will play out for years to come. 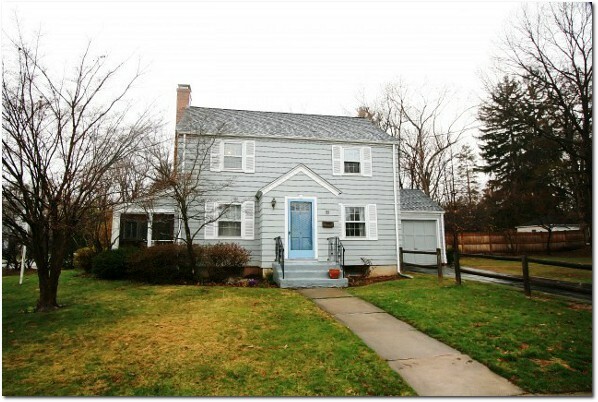 This move-in condition Colonial is in a great West Hartford Center location, a quick walk from all of the shops and restaurants in the Center and Blue Back Square. It offers 3 bedrooms and 1.5 baths over 1,324 square feet. The formal living room is a nice size and has a wood burning fireplace. The dining room features a classic built-in cabinet and connects to the kitchen with eat-in space. There is an updated half bathroom on the first floor and the basement is partially finished. Outside there is a sweet screened in porch and wood deck. The yard is nicely landscaped and offers plenty of space for play, relaxing or gardening. Park your car in the 1-car garage. The home features a newer roof, furnace, hot water heater and exterior paint. 55 Grennan Road is offered at $295,000. If you’d like to see this home, please have your agent arrange a showing, call me at 860-655-2125 to schedule a visit, or stop by the open house on April 10th between 1:00pm-3:00pm. More details and a photo tour are available. West Hartford is nationally recognized as an excellent place to live, receiving kudos from Kiplinger Personal Finance Magazine twice this year, for being one of the 10 Best Cities for the Coming Decade and 10 Great Cities for Raising a Family. Within West Hartford, The Center is always mentioned as a primary attraction. Visitors and residents converge for the diverse mixture of work and play, with numerous restaurants, unique shops, and energy that complements the numerous businesses and town offices. In the real estate markets “Walk to Center” is a powerful selling point. Residential opportunities in The Center are numerous and diverse. They primarily include single-family homes and condominiums, but there are also multi-family properties available. 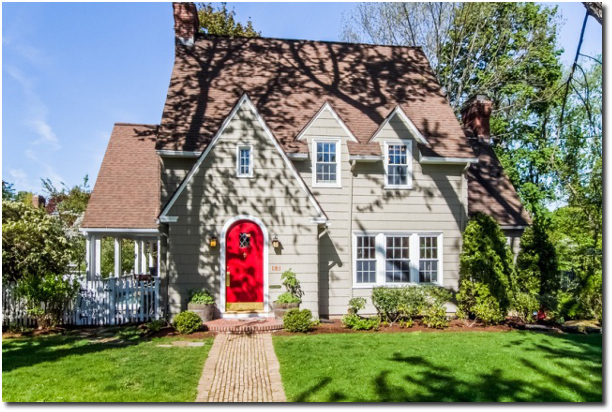 We wanted to look a little more closely at the single-family housing stock in the area using the Connecticut Multiple Listing Service (CTMLS). The CTMLS is the database used by real estate agents to share information about their listings, and the data is considered reliable, but not guaranteed. Is there a typical home? What are the most common number of bedrooms and baths? How large are homes in this area? We can investigate all of these questions by looking at transactions in the CTMLS since it began tracking data in 2000. 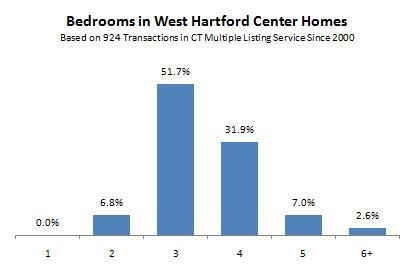 There are over 900 data points for single-family homes sold around West Hartford Center, so hopefully it will be a representative sample of the total collection of homes. Over half of the homes in The Center have 3 bedrooms. It is also common to see 4 bedroom houses, but only about 10% of the properties have 5 or more bedrooms. Over half of the homes in the Center have 1.5 baths, through there is quite a bit of diversity here. The bathroom configuration can vary based on the style of the property, so capes and ranches may not have a half bath, while colonials usually do have one on the first floor. Living space shows up as a smooth distribution, with a nice long tail extending out to the larger homes. Nearly half of the properties contain between 1,500 and 2,000 sqft. In the last chart, the lot size tends towards just under a quarter acre. Since this post is in danger of chart overload, we’ll pass on the remaining stats without visuals. 47.5% of homes have a 1 car garage, while 46.7% have a 2 car garage. Finally, the vast majority of the homes were built between 1916 and 1945. West Hartford Center is often seen as the face of the Town of West Hartford. It is truly a mixed use environment with business, entertainment, and residential areas in close proximity. 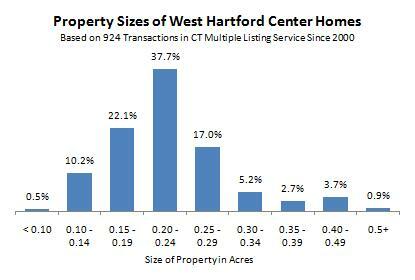 For those interested in moving to The Center, these results show that the average West Hartford Center home has 3 bedroom and 1.5 baths over about 1,600 sqft, and is set on about 0.22 acres. It has a garage, and was most likely built before 1945.